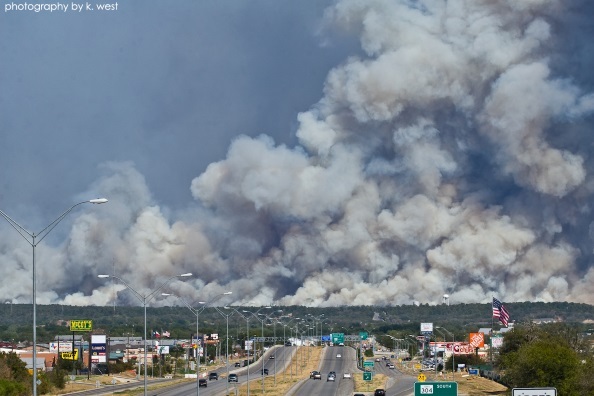 Four years ago I wrote about the wildfires in Bastrop, Texas. Here’s a photo from the time by Kerri West, used by permission. Today I visited Bastrop State Park on the way home from Austin. Some trees, particularly oaks, survived the fires. Pines have come back on their own in parts of the park. A volunteer working in the park told me that some of these new trees are 10 feet tall, though I didn’t see these myself. In other parts volunteers have planted pines. Here’s a photo I took this morning. Most of the new growth in the forest is underbrush, in some places thicker than in the photo above. 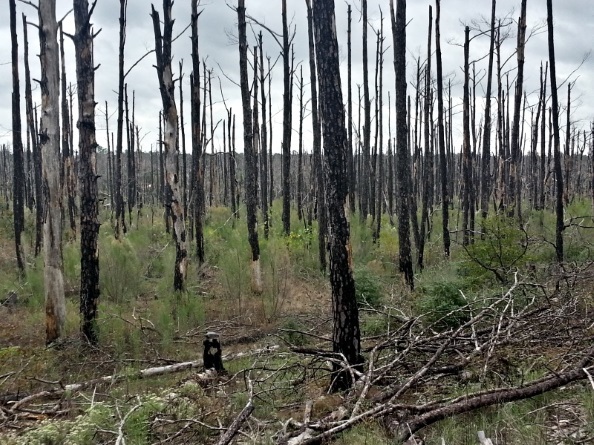 The same volunteer mentioned above said that the park is already planning prescribed burning in some areas to clear the underbrush and protect the viable trees.